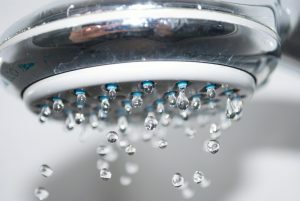 Is This the Final Winter for Your Water Heater? Saying goodbye is tough. You may not think of saying goodbye to a major appliance in your home as difficult. But when it comes to a large appliance like a water heater, one that supplies your household with a vital daily resource, it’s difficult to say goodbye because of the labor, costs, and decisions involved. So you may hesitate about scheduling a new water heater installation, even when you sense your old reliable water heater is getting too old and unreliable. Let’s take a hard look at your current water heater and ask the tough questions so you can make the choice (with a professional’s assistance) about whether this spring is when you replace the water heater. Posted in Water Heaters | Comments Off on Is This the Final Winter for Your Water Heater? How Do I Know What Size Water Heater to Get? No matter the season, you need hot water for your house. If you’ve ever lost hot water in your home for a day, you already know how miserable and unpleasant life can get. Almost as bad as having no hot water is having a water heater that isn’t the correct size for your needs. A water heater that’s too small won’t supply your household with the necessary hot water. A water heater that’s too large will cost a small fortune to run. So how you do you find an ideal new water heater in Staten Island, NY? It’s not hard: call our professionals! You shouldn’t attempt to first purchase a replacement water heater, or the first one for a new home, and then call plumbers. Let them help you choose the water heater. They’ll make professional calculations to determine the idea size and type of system. We’ll show you what we do to size water heaters below. Posted in Water Heaters | Comments Off on How Do I Know What Size Water Heater to Get? During a tough winter here in Staten Island, you can easily imagine why your home heating system would be under a great deal of stress. In fact, you don’t use the heater much at all the rest of the year, so you expect that if your heating system needs repairs, those problems will probably happen during the winter. But did you know that your water heater is also under greater strain in the winter? Because the water heater is at work 365 days out of the year, people often assume that it works the same amount all twelve months. But there are reasons why there’s additional stress on a water heater in winter—and therefore why a water heater is more likely to run into the need for repairs at this time. Is This Fall the Time to Install a New Water Heater? In our last post, we looked at the all-important inspection and tune-up your heating system needs before the winter arrives. Today, we’re going to look at a different kind of heating preparation for the other major heating system in your home: the water heater. No water heater lasts forever, although homeowners often treat them as if they’ll never stop working. If you have an aging water heater, it’s better to get ahead of potential problems and arrange during the fall for our technicians to install a new water heater in Staten Island, NY. Let’s take a closer look at making the choice for repalcement… and the choices that come after. 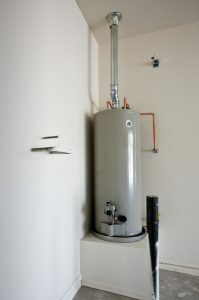 Posted in Water Heaters | Comments Off on Is This Fall the Time to Install a New Water Heater? What Is a Tankless Water Heater? Should I Get One? Forget everything you know about water heaters! Well, it’s okay to remember most of it—the only part you really need to toss out is the idea that all water heaters use large storage tanks to operate. For decades this was the standard for water heaters—and there’s still nothing wrong with relying on storage tank water heaters—but there are new models available that don’t use water tanks at all. 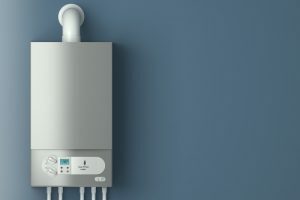 Tankless water heaters are already enormously popular in Europe and spreading quickly in the U.S.
Posted in Water Heaters | Comments Off on What Is a Tankless Water Heater? Should I Get One?